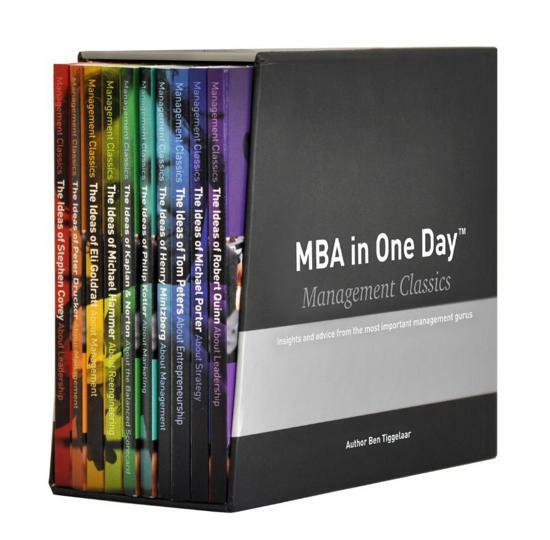 The MBA in One Day – Management Classics is a series of 10 audio programs from author Ben Tiggelaar about the insights and advice from the most important management gurus. 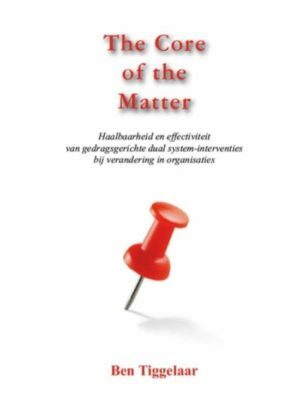 Presenter Bill Hoopes discusses the ideas of: Stephen Covey, Peter Drucker, Eli Goldratt, Michael Hammer, Kaplan & Norton, Philip Kotler, Henry Mintzberg, Tom Peters, Michael Porter, and Robert Quinn. 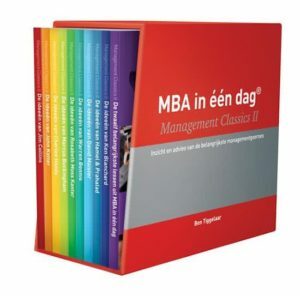 The MBA in One Day – Management Classics is a series of 10 audio programs from author Ben Tiggelaar about the insights and advice from the most important management gurus. Presenter Bill Hoopes discusses the ideas of: Stephen Covey, Peter Drucker, Eli Goldratt, Michael Hammer, Kaplan & Norton, Philip Kotler, Henry Mintzberg, Tom Peters, Michael Porter, and Robert Quinn. The MBA in One Day Management Classics CD-box offers a unique overview of important management theories. 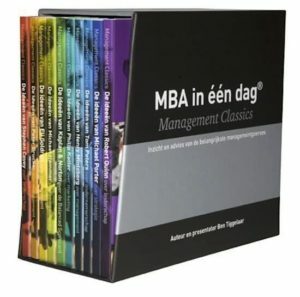 Ben Tiggelaar discusses the most important ideas of 10 of the most important management thinkers on 10 audio-CD s of 50 minutes each. Ben Tiggelaar translates the ideas to practice so you can get started with them right away. .